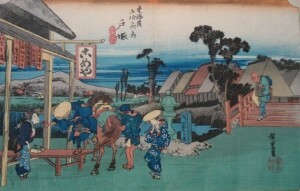 In the Permanent Exhibition, you can see prints from “The 53 Stages of Tokaido” by Hiroshige. 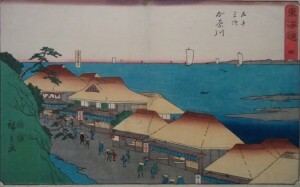 This time, you can see the prints of Kanagawa, Hodogaya and Totsuka, published by Hoeido, Ezakiya, Marusei, Sanoki and Tsutaya. 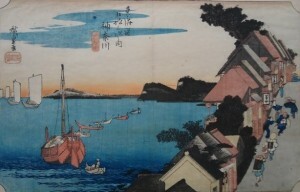 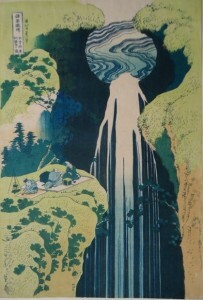 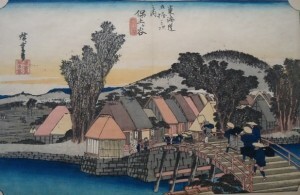 We are also displaying prints by Hokusai, Eisen. 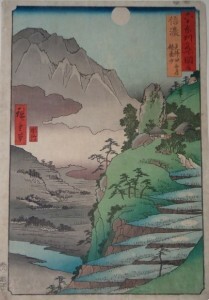 In the Special Exhibition, in collaboration with “Matsumoto Crafts Month” in May, you can see prints of the crafts, products, and scenic views of Shinshu. 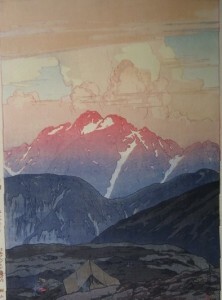 We will also be displaying prints of Mt. 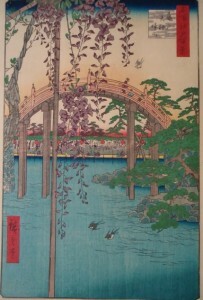 Fuji, Japanese food, and flowers from “The 100 Views of Edo”. 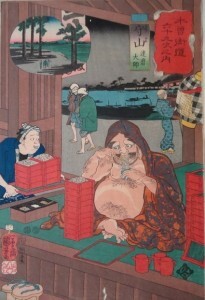 How about dropping by during the warm months to see some “crafts”? 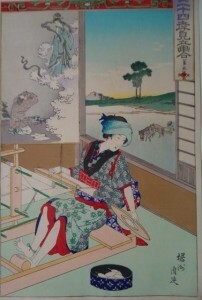 Ukiyo-e is also made by craftsmen: engravers and printers.